There are very few more efficient ways for releasing pre-game tension than reading about Palmeiras! For the first time in three months, Pierre on Monday was seen on the pitch working the ball. The recovery of our midfield warrior is long awaited; the surgery (due to a nasty and persistent plantar fasciitis) isn’t complicated per se, but the recovery time is generous enough to make Mother Teresa impatient. Pierre, best of luck in these final stages of your recovery! Marcos Assunção is negotiating his new contract with Palmeiras, expiring on 30 July. He’s keen on remaining, but has asked for a substantial salary raise; if accepted by Palmeiras, Assunção would join Saint Marcos, Valdivia and Kleber as the only ones above R$ 200.000 (US$ 125.000) a month. Will Assunção get any callers? I sense he might have pushed it a little too far and hope he’s ready to negotiate. If in fact Palmeiras decide to cough up the silver for Assunção, the deal signed last week with the hotel chain Holiday Inn will facilitate things. 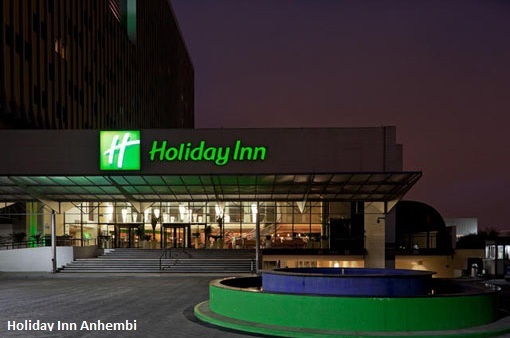 The agreement – personally negotiated by president Arnaldo Tirone – stipulates that Palmeiras will have access to 15 double rooms at the Holiday Inn Anhembi on the day and night prior to home games (standard procedure in order for players to concentrate on the game the following day). In return, the hotel will brand their logo on outdoor advertisements at Palmeiras’ Training Centre. The deal will save Palmeiras roughly US$ 125.000 a month and close to US$ 1.25 million a year. It is also possible that there will be positive spin off effects for supporters: Palmeiras and Holiday Inn are already studying discounts that would be offered to Palmeiras supporters visiting from out of town. Well done, Tirone! Palmeiras have decided to use the Pacaembu stadium for all future and decisive games in the Copa do Brasil and Paulistão. Pacaembu has been more associated with Corinthians (due to the fact that they don’t have their own stadium and thus have “adopted” the Pacaembu, playing most of their games there), but that’s historically insignificant: Palmeiras has won many important titles (24 to be precise) at the Pacaembu – a place to call home as good (or even better) as any other – at least until the New Arena stands ready. 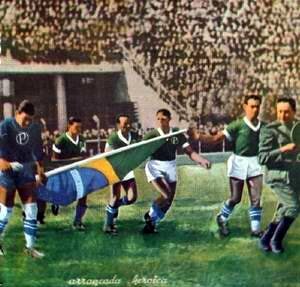 And never must we forget: the Pacaembu was the stage for a magnificent display, when a leader died and a Champion was born. Speaking of the skunks: together with no other than arch-rival Corinthians, Palmeiras launched the campaign “Playing for the Environment”, which will contribute to the reforestation of an environmental reserve in the city of Salto de Pirapora in the interior of the state of São Paulo. 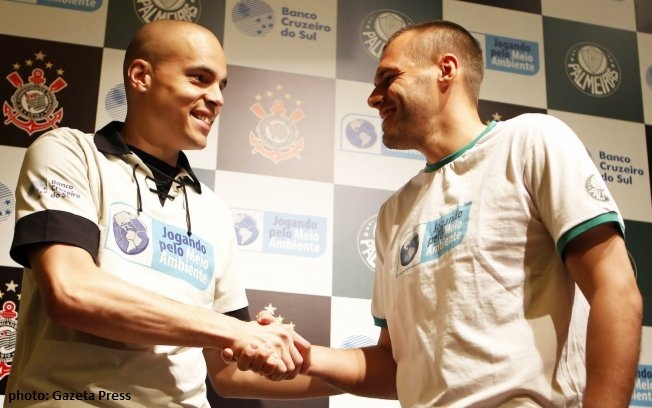 In a promotional event, Deola shook hands with Corinthians goalkeeper Júlio César to seal the pact: for every game played, 100 seedlings will be planted. For every goal scored, there goes an additional 100 seedlings. For every penalty defended, yet another 200 seedlings. Soon, there will be a forest the size of Central Park in Salto de Pirapora! Previous The stage is set! First: Pierre is finally getting back! Second: Assunção doesn’t deserve to receive more than R$200.000 in my opinion. I’m not exactly a fan of his, despite scoring a lot on free kicks. Third: Corinthians is a homeless team and it’s good to say it haha. Fourth: Deola is really doing a great job. It’s hard to be recognized at your goals when you’re replacing a saint. Haha, cool Vinícius! And one more thing: Tirone seem to be getting more things right then wrong, at least so far. Let’s hope he continues this way! Happy Easter to you and you family! Yeah, I specially liked the part when you said that Holiday Inn is studying discounts that would be offered to Palmeiras supporters visiting from out of town haha. Tirone has been doing a great job. I hope this year is gonna be the year for us. Happy Easter to you and to your family too! Congratulations again for the blog!